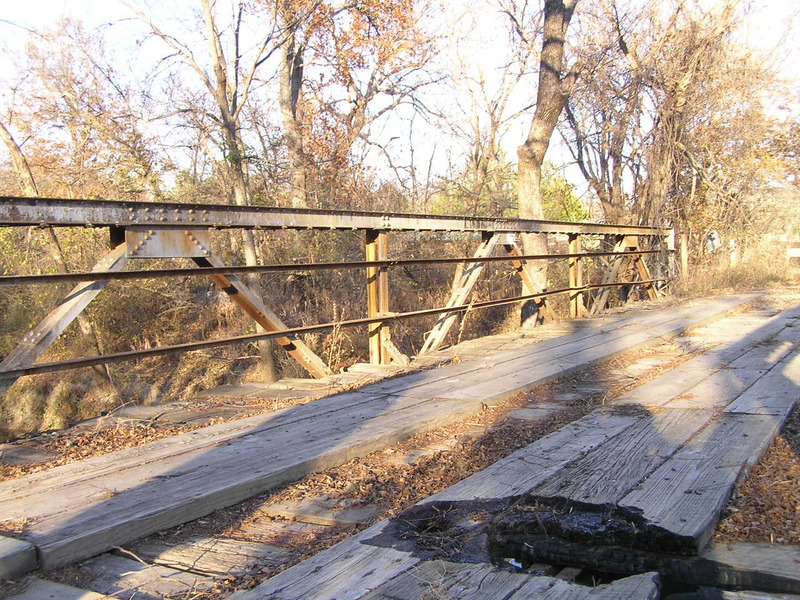 Coal Creek Bridge, Okmulgee Co. 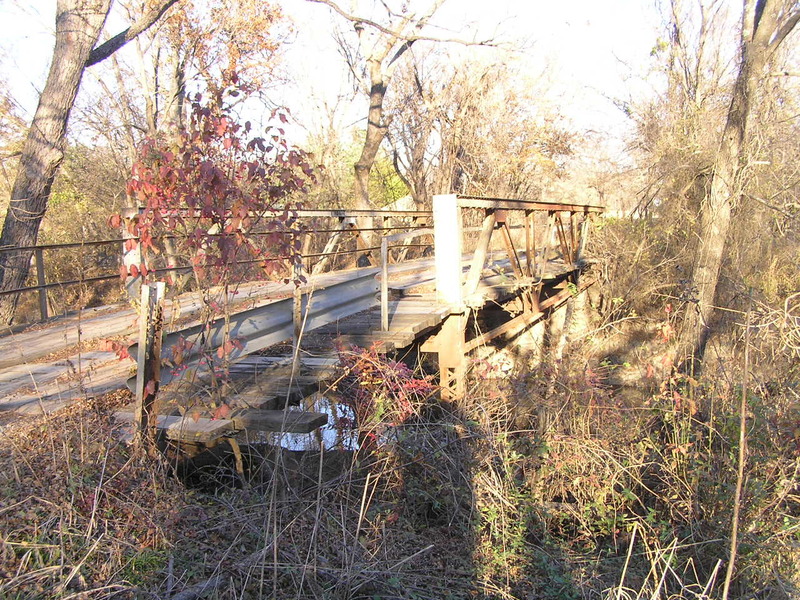 Built in 1913 and recently closed, this riveted Warren bedstead stands east of Henryetta south of US 266. Above, a view looking east. The hole in the deck appears to be the result of a fire. Below, an angled view. As you can see, the endpost extend below the bridge and actually form part of the supporting substructure. 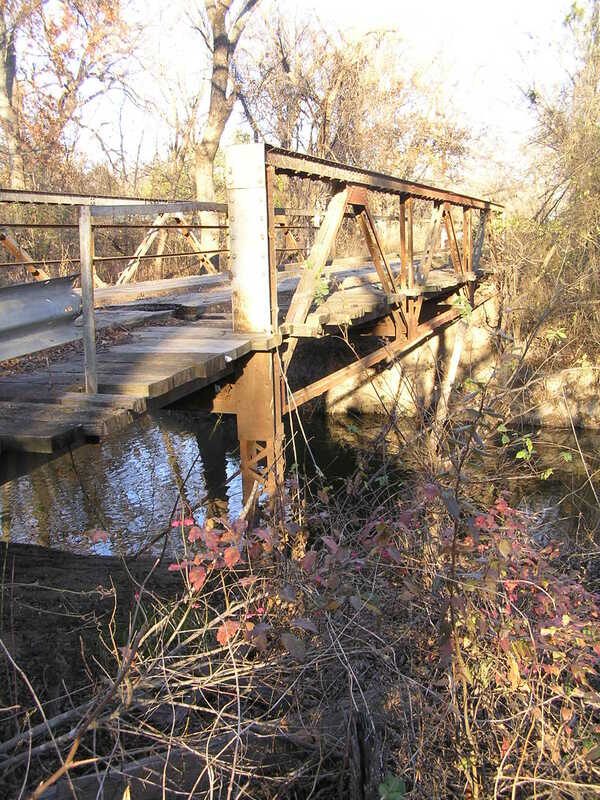 Above, a deck view of the truss. 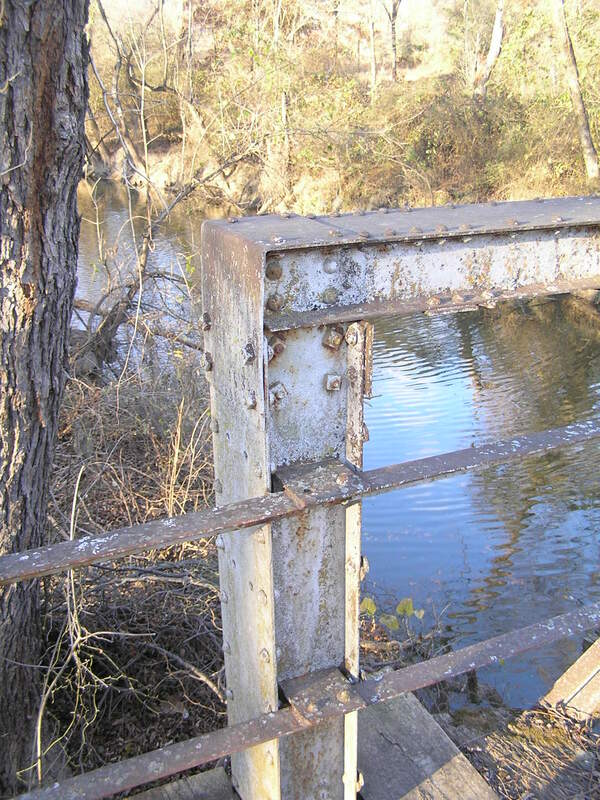 Below, detail of the connection between the endpost and upper chord. Above, a typical upper chord joint. 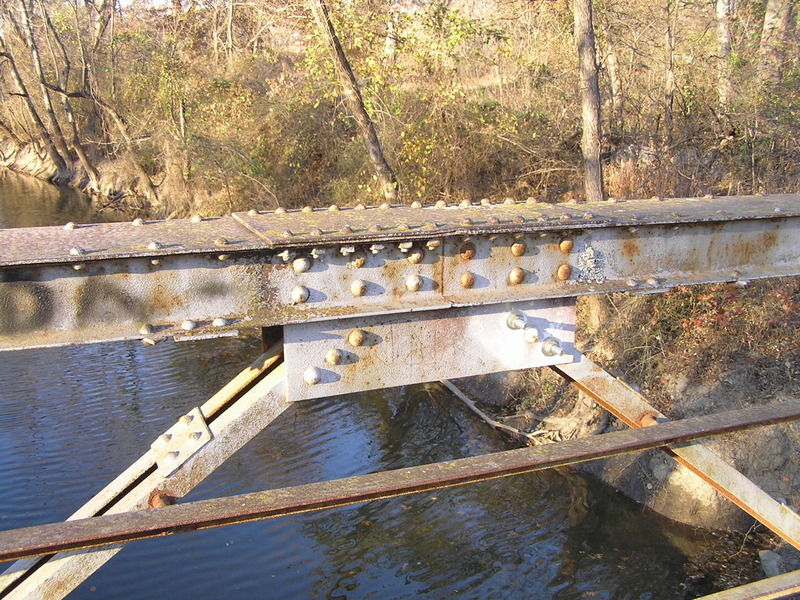 Note the type of bolt used for the filed connections-bolt heads shaped like rivets and square nuts. Below, a close angle view. 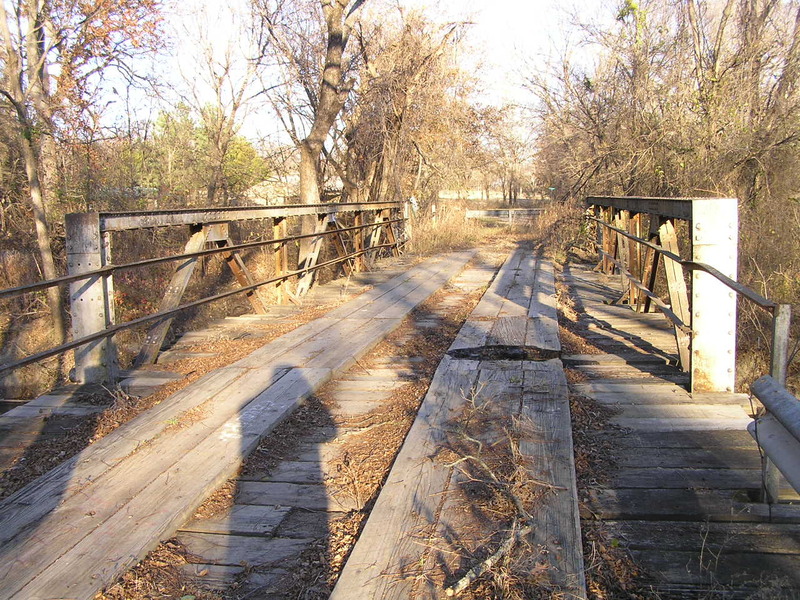 The fate of this bridge is uncertain, the road it is on doesn't really go anywhere.